The site-meter function one of my kids installed for me is very useful, since I use it to see whether my readers are finding what I have to say interesting. It is almost two years since I started blogging in September '07. Of course in the early days I had no idea what I was doing, and didn't even know how to upload pictures. 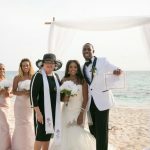 It wasn't until about 6 months later that I started blogging and capturing some of my weddings on camera. These last few months have been very interesting for me. I uploaded my first video to my blog, (95% of the credit goes to one of my grooms, but I will learn), I joined Facebook, I joined Twitter, I am learning how to use Digg and Tecnocrati, and I am using Addictomatic and Stumble Upon. I can update my web-site if I really wanted to, it has a Joomla platform. 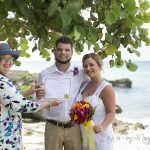 On June 1st I opened the Simply Weddings office and bride's room at 306 North Church Street which is just a stone's throw from the Rayal Watler cruise landing and is perfect for the many cruise weddings I perform each year. My wedding coordinator is Peggy Moorhead, and I am so lucky to have her. 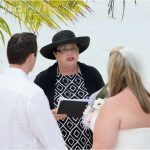 Also, last week I performed my first wedding outside the Cayman Islands, which was a trip, really it was. I am working on another blog which I am going to launch, and which is not about weddings but about writing, including stories and poems I have written at some time in my life, at least I think that's what it will be about. I am a fortunate woman and I thank the Lord every day for all He has given me, and especially for the ability and authority to bring happiness to others through my Civil Registrar of Marriages practice. 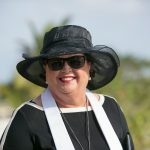 I hope if you have just visited my blog for the first time you will come back, and for those visitors who I have met personally or married, I do wish you rich blessings of health and happiness, and come on back to the beautiful Cayman Islands and see us.